Happy Thursday! I’m excited to share with you one of my favorite kinds of shoots- Maternity! I love sharing this time with moms. These moments are fleeting, and I love being able to capture a little bit of them for families to enjoy later on. But, sometimes, the fear of feeling uncomfortable or vulnerable can hinder a session. So let’s chat about why you shouldn’t worry about it! Let me start off by saying: your concerns are completely valid. I’m a Mom of four. I’ve had 4 healthy (and uncomfortable) pregnancies. And I’ve also had maternity photos taken during my pregnancy for my last child, who was also my biggest. 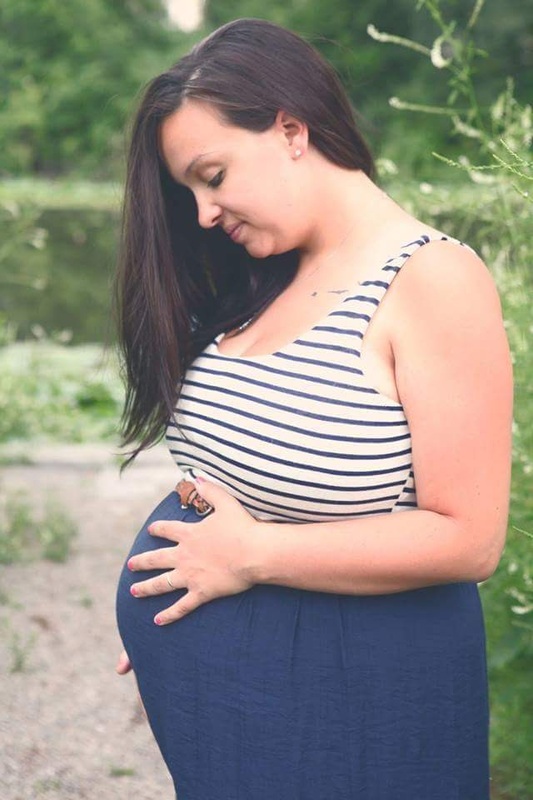 From personal experience, going into a maternity shoot while you’re uncomfortable, exhausted, and not feeling great can be extremely nerve wracking. And I would do it 1000 times over again, because it was SO worth it to have those photos. Something I didn’t understand at the time was that my very talented photographer knew how to make me feel radiant, and didn’t push my limits with comfort at all. This is what I model my shoots on now. My main concern is your comfort. I know you’re not feeling your best. I know you’re uncomfortable/self-concious/sleep deprived, etc. I’m not here to push your limits and make you feel like you’re out of your element. I’m here to gently guide you, leaving room for real emotion, and making you feel comfortable in your skin. These photos are something you’re going to want to look back on with your children as they grow. They’re going to be the ones that you look back on and say, “how did a whole kid fit in that tummy?”, and you’re going to love remembering the time you shared your body with your sweet baby. Wondering when you should have Maternity photos done? This is different for every person, but as a general guideline, 34 weeks is the best time. Multiples usually need to be done a couple weeks earlier, and high-risk or bed rest clients should wait until their doctor okays for them to be up and moving for an hour or more. We offer sessions that inspire real emotion, and leave room for genuine interaction. Our lifestyle sessions are relaxing, and fun for everyone. These sessions put emphasis on Mom-to-be, while encompassing all of the natural images you want to look back on that include family. Milk bath sessions are done in-home, and provide mom with a relaxing and artistic look back at her pregnancy. These sessions are pressure-free, and require very little from mom. Posing is done in natural positions that don’t require bending or stretching, providing comfort for an easy session. Our newborn session are done in-home or on location, and are all lifestyle based. This provides a laid-back atmosphere, where Mom and Dad don’t have to feel stress from baby being posed or over-handled. Our #1 priority is safety. If you’re interest in learning more about our newborn sessions, reach out to us! We’d love to hear from you! BONUS! Here’s a photo from my maternity shoot in 2015, before my last daughter was born. I was so excited to have these done by Hance Photography! She made it so easy, and we had such a good time. I could never thank her enough for the gift of these photos. We still look back on them, and show our girl where her first home was.